Australia's smaller brewers are set for a major windfall thanks to a proposal within next Tuesday's Budget. It is a result of Treasurer Scott Morrison's plans to end a two-tier system that sees brewers charged 40 percent more tax for using smaller kegs – and to increase the amount of excise tax on which they can claim a rebate from $30,000 to $100,000 per year from July 1, 2019. 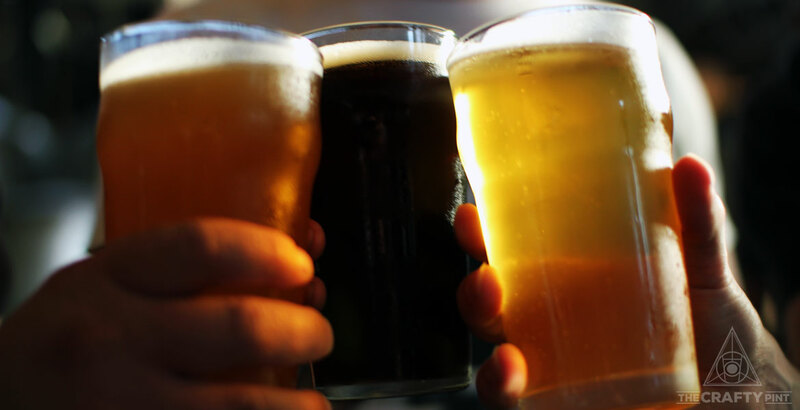 The Minister said: "This not only champions the craft brewers that we’ve all grown to love, it raises a very tantalising prospect for Australians: the likelihood of cheaper craft beer. "The extra help to craft brewers and distillers will drive competition in a sector currently dominated by large domestic and multinational brewers, opening the door to new products and will likely put downward pressure on prices." Both issues have been at the centre of lobbying by the craft beer industry for years. At present, beer attracts a far higher rate of excise tax if packaged in kegs measuring 48 litres or smaller when compared to the same beer in a 50 litre keg. And brewers have only been able to claim an annual excise tax rebate up to $30,000, a figure dwarfed by the $350,000 rebate available to the country's winemakers via the Wine Equalisation Tax (WET). Next week's budget proposes to more than triple this to $100,000, with the change also applying to Australia's rapidly growing number of craft distillers. The proposals have been warmly welcomed by the industry, with Independent Brewers Association (IBA) chair Ben Kooyman pointing out that the country's small brewers have been campaigning for fairer tax for more than two decades. "Blair Hayden (The Lord Nelson) and Chuck Hahn were campaigning at Parliament for excise reform more than 20 years ago," he says. "After that it was Paul Holgate and Cam Hines (Mountain Goat), the CBIA and now the IBA. "[These changes] will make a huge difference for small brewers versus bigger brewers." Momentum has certainly been gathering. In 2012, the excise tax rebate for brewers was increased from $10,000 to $30,000 per annum. 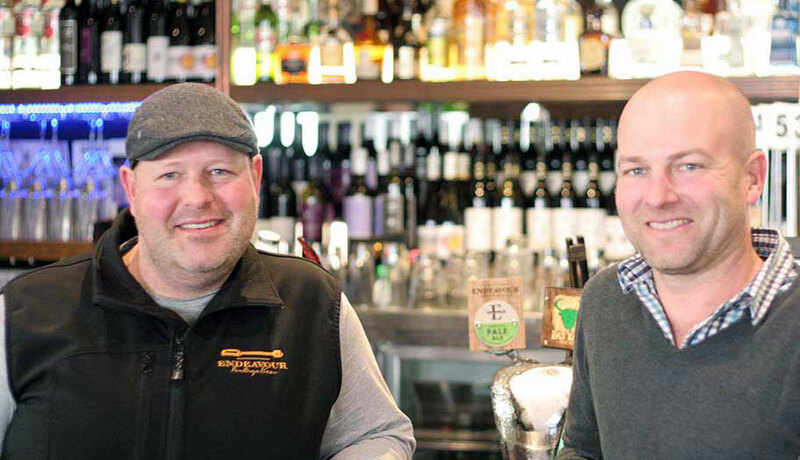 The following year, a White Paper on tax inequality was published by the Australian Real Craft Brewers Association (ARCBA), while, last year, the IBA launched launched a campaign calling for fairer tax that was taken forward again in March this year. Ben described today's news as "another step" in the IBA's ongoing fight for the country's independent brewing companies. "It's a nice little break but it's not what we want to get to," he told The Crafty Pint. "We sent a letter and economic evaluation directly to the Treasurer's Office and got a reply that was somewhat stock standard, but the feedback we got was that we timed it perfectly." "We've got part of one and can tick off the keg issue," says Ben. "Next, we'll try for more relief and would like to simplify the situation around beer excise – beer is beer is beer." IBA chair Ben Kooyman (left) with Endeavour co-founder Andy Stewart. As for the latest wins, he says the proposal related to kegs has positive impacts beyond the balance sheet. "It's great for Occupational Health and Safety," he says, as brewers can look to use more smaller, lighter kegs without being penalised financially. "It's great for freshness and for diversity. "We can start approaching small bars and restaurants with smaller sizes and it will hopefully help keg fresh beer, with people able to buy [small kegs] direct from a brewery to take back to their house. It's something that could be quite exciting and has a great environmental impact too." Initial reaction to the announcement has seen many of the industry's supporters – in other words, craft beer drinkers – take to social media to say they're looking forward to cheaper craft beer. But Ben says they're warning against small brewers passing on their savings by lowering the price of their beer. "We don't want brewers to funnel it straight through to price, but into investment in jobs and better quality beer," he says, highlighting the issue of cheaper kegs and price wars that have been impacting the industry in recent years, as featured on this site here and here. Looking ahead to next year's Federal election, he said they would be looking to see what Labor will now offer, particularly with Albo having taken up the fight less than a year ago. "Labor has an opportunity to propose an alternative," says Ben. "They might come to the party or they might say this is a bad move and go back to the old system." It promises to be a busy few weeks for the IBA, which last year voted to strip membership from brewing companies with large brewery ownership. It will reveal its new CEO on Monday and is set to launch its Independence Seal and associated awareness campaign on Thursday. In June, it will host its rebranded conference, BrewCon, and annual beer awards, The Indies, in Sydney. "It's a very interesting time for the industry," says Ben. "We're so disruptive, with so many new openings. "It's an exciting time to be alive." In a statement welcoming the news, Western Australian Brewers Association (WABA) president Dan Turley sounded a note of caution over the decision to level taxation on all kegs over eight litres, warning it could put added pressure on the local brewing industry. He says the advent of one-way kegs that, unlike 50 litre kegs, can be disposed of after use could see overseas brewers look to bring more of their beer into the state. “The reduced keg excise must be met with some caution," he said, "in that it may also potentially open the floodgates for cheaply produced imported beer packaged in smaller kegs, especially one-way disposable plastic kegs." He said WABA was calling on the Federal Government to apply the lower rebate to returnable kegs only. As part of our commitment to unleash the potential of Australian small businesses, the Turnbull Government will increase the amount beverage companies can claim back on their excise and extend the concessional draught beer excise rate to smaller kegs, typically used by craft brewers. This not only champions the craft brewers that we’ve all grown to love, it raises a very tantalising prospect for Australians: the likelihood of cheaper craft beer. The extra help to craft brewers and distillers will drive competition in a sector currently dominated by large domestic and multinational brewers, opening the door to new products and will likely put downward pressure on prices. This measure adds to the Turnbull Government’s support for small business over successive Budgets, including: an increase to the turnover threshold for access to the small business concessions, reduced tax rates and the $20,000 instant asset write-off.